Lisa Cary strides to 2nd place overall at the Clayton Half Marathon on Sunday. Working on racing longer in midst of logging base miles, Lisa finished with a time of 1:25 on the hilly roller course. Fellow runners also battling the hills were Michael Aitken placing 2nd overall in the 5k with a time of 15:36. 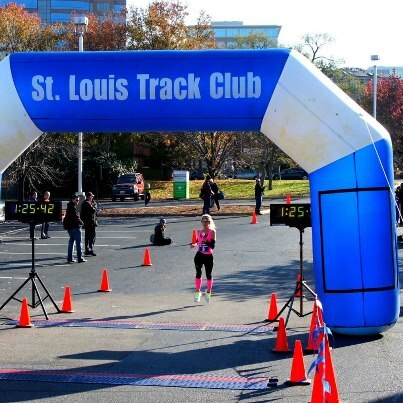 ← Clayton Half Marathon Expo Tomorrow!